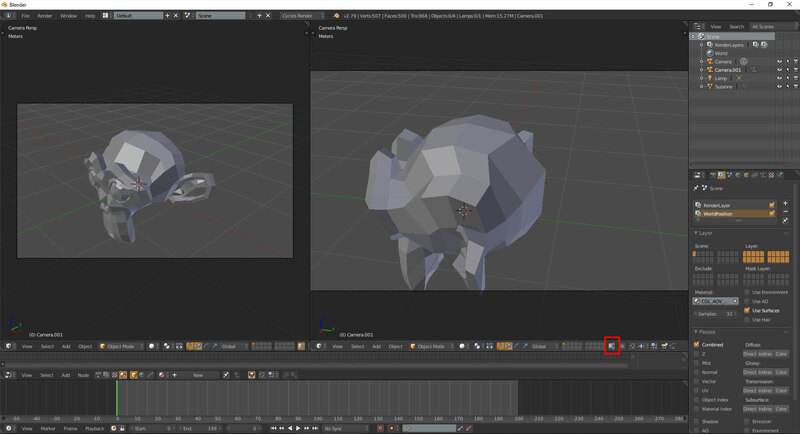 By default, the view-ports Camera view in Blender displays the view from the camera that is set as the scene’s Active Camera. If you split the view and in the new view select a different camera and set it as the Active Camera, the view in other view-ports set to camera view will update to display the new Active camera. In short, by default, it seems you can’t assign different camera views to different view-ports.. 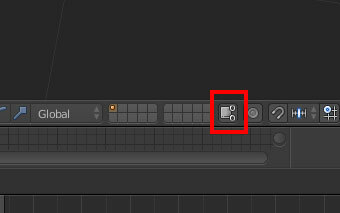 When the Use the scene’s Active Camera and layers in this view button is de-activated, your allowed to set an Active Camera for the specific view-port without changing the scene’s Active Camera setting, therefore not affecting other view-ports displaying the camera view. 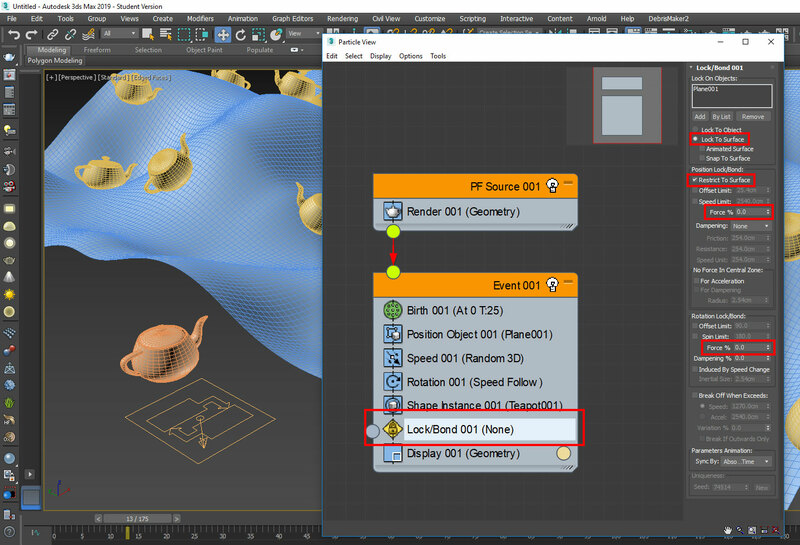 The following Python for 3ds max snippet replaces all selected objects with an object merged from an external 3ds max file. The ‘model_path’ string variable should be set to the path of the 3ds max file containing the replacement model. This example takes into account that the merged file contains only a single object, otherwise the first of the merged objects will be used. The script actually replaces the Object node of the selected objects with the Object node of the merged model (creating instances), assigning them the merged material giving them the merged object’s name appended with numbers. * note that when copying and pasting a script from this example, the indentation may not be pasted correctly. Choose the wanted constraint type. select the constrained object to set the constraint parameters. The Lock/Bond Particle Flow test can be used to have particle movement restricted to a surface. 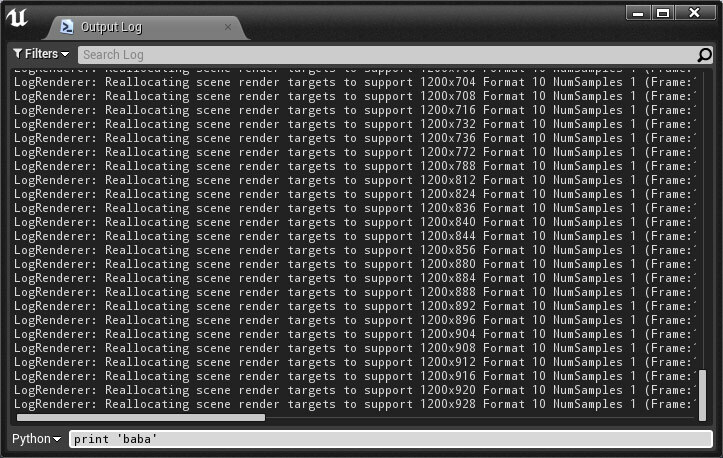 Importing assets into a project is done using the import_asset_tasks() function which is a member of the unreal.AssetTools class. 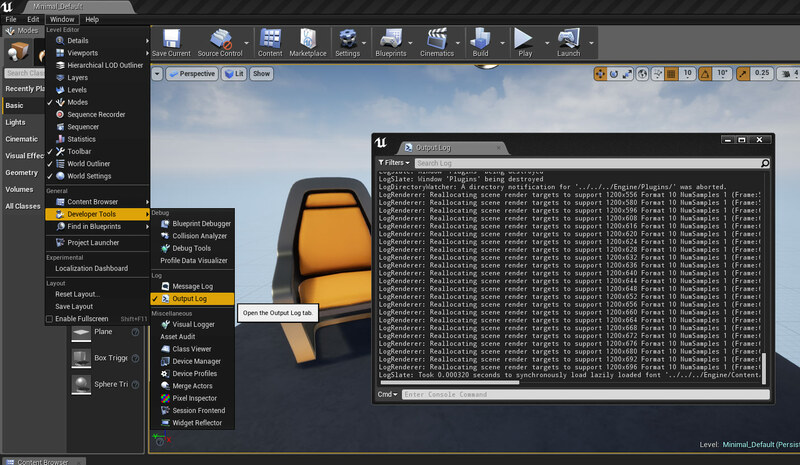 A reference to the AssetTools class is created by calling the get_asset_tools() function which is a member of the unreal.AssetToolHelpers class. The import_asset_tasks() function requires a list of unreal.AssetImportTask objects as an argument, each unreal.AssetImportTask object in the supplied list represents the import action of a single asset, and contains properties needed for the import operation. Asset import properties are set using the set_editor_property() function which is called through the AssetImportTask object. In the following example a specified texture file is imported into the project and stored in the Content(Game) > Textures folder. * If the folder doesn’t exist it will be created. 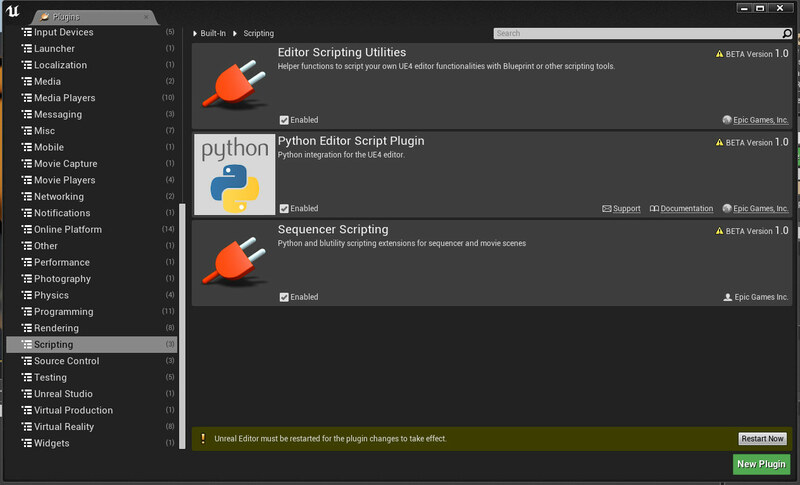 And enable the Python Editor Script Plugin.